Vedic Systems, is the major theme which examines the vast array of sourcebooks of the Vedic system forming the foundation of ancient Indian thought. It highlights the message and meaning of Vedic sourcebooks, which are: The Vedas, Upanishads, Brahmasutras, major Puranas, Mahabharatha, Ramayana, Bhagavatham, Pancharatraaagama, and major systems of Indian philosophy. It has subsection covering Srimad Bhagavad-Gita, which is regarded as the quintessential summary of all Vedic source books. Works on Dharma Shastra, and other major works like Artha Shastra and Niti Shastra are also included. The theme includes works of the modern rishi-saint, Sri Aurobindo, concerning symbolism in the Vedas. Over the centuries, a voluminous literature has accumulated on the Vedas, written in English and many other languages. Yet the Vedas remain elusive, as they are written in symbolic language that lends more than one meaning. None of the three great acharyas, Shankara, Ramanuja, and Madhva, who explored every other ancient Indian sourcebook, wrote full commentaries on Vedas. This fact is significant, and adds further mystery to the enigmatic Vedas. (Shri Madhva did write a short Rigbhyasya, but it addresses only some parts of Rig Veda, unlike his voluminous commentaries on Upanishads, Bhagawad -Gita, Brahma sutras and the Mahapuranas). The main commentary on the Vedas, which most of the Eastern and Western writers rely upon is by Sayana Madhava, popularly known as Sayanacharya. This voluminous work is appreciated world over for its encyclopedic coverage of Vedic texts; it is essentially a literal translation of the Vedas. Its critics lament its lack of reference to the hidden meanings of the Vedic tenets, as well as its silence on the symbolism of the Vedas. This is one of the reasons why the Vedas remain inadequately illuminated. Another reason is that Vedic Sanskrit is different from classical Sanskrit, the language currently taught, written and sometimes spoken. It is not only the mother of the current version of the language, but the mother of a widespread group of languages, the proto-Indo-European languages. 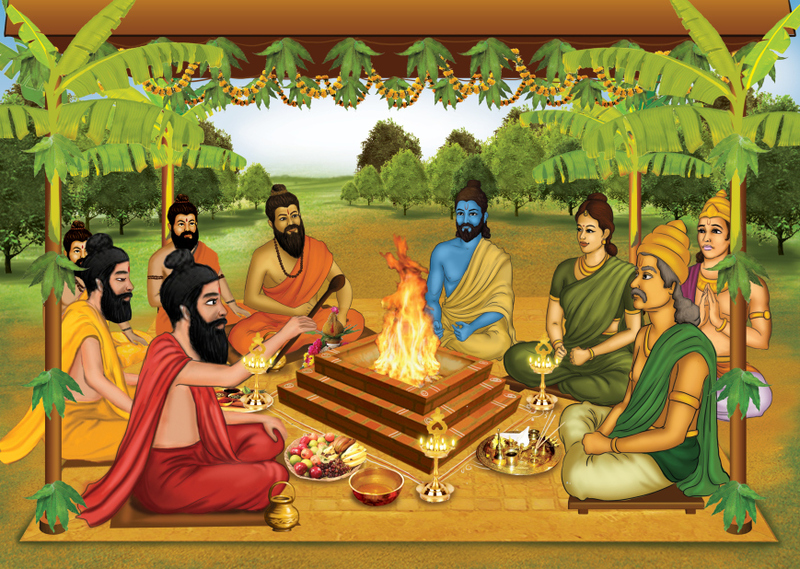 The Rishis provided the Vedas with study tools or Vedangas, the limbs of the Veda. The understanding of the Vedangas is a necessity for the comprehension of Vedic texts. There are six Vedangas: Shikhsa, the science of pronunciation; Vyakarana, the grammar; Chandas, the prosody and poetic construction; Nirukta, semantics; Jyotisha, astronomical science; and Kalpa, the technicalities of rituals.